So it's date night and you're looking for something fun and unique to do with your sweetheart, am I right? 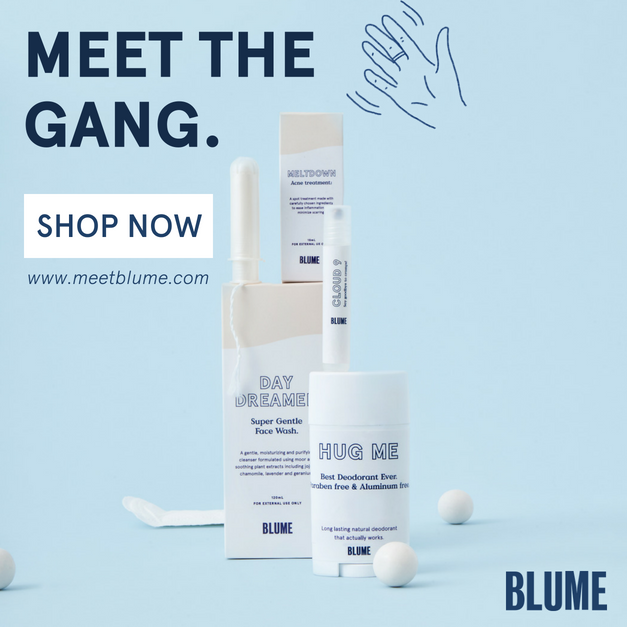 Or maybe you're both a little bored and looking for something more exciting than another night on the couch watching Netflix? Guaranteed to get those creative gears a-turning for a night full of artsy fun, here are five affordable, creative and artistic ideas just for you and your honey bunch to enjoy. All you need is a large canvas and paint of your choice. Fling paint about, smear it around and have blast! Don't try to be too structured in your painting or else your art might come out too boring. But don't get TOO messy and wild or you might end up with brown smudgy mess on canvas. 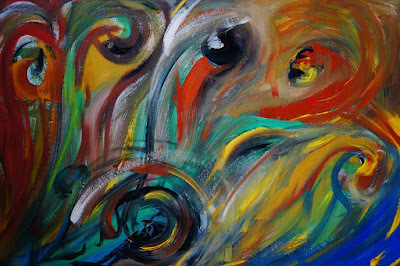 To keep the balance while abstract painting with your husband, take your time, free your mind and perhaps have a little wine to help get those creative juices flowing. Use poster board instead of canvas - especially if you're just doing this for fun and not very committed to making something that you'd want to hang up in your home. Also, you can find cheap water colors, poster paint or kid's finger paints at any dollar store. Better quality and affordable acrylic paints can be found at Walmart or any craft store. Small bottles of acrylics are very affordable (usually around $1 each) and come in hundreds of different colors. Learning to knit or crochet is not only fun, but it's a practical skill for both women and men to have. How awesome would be to sit down and make each other unique scarves and hats and so much more?? 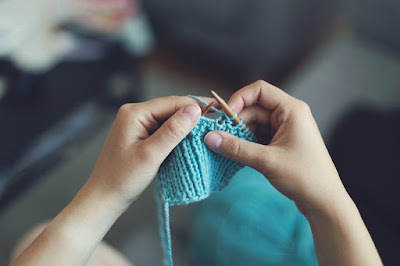 Do you already know how to knit or crochet? Then teach him! Is he the knitter? Then have him teach you! Having a knitter in the home is always great... but having two or more is even better! Instead of buying instructional books, just simply browse the internet for great knitting /crocheting tutorials. There are also plenty of videos available to watch online for those of you who need a clear demonstration. If you're not sure if you're going to enjoy knitting/crocheting then simply borrow some knitting needles/crochet hooks and get a your yarn from an old sweater or scarf. Check out how to harvest yarn from old clothing HERE. Sit facing each other and take at least thirty minutes to draw each other's faces at the same time. Don't worry if you can't draw - it's just for fun so be sure to go about this activity with a bit of humor. Don't get discouraged from your lack of artistic skill, but embrace it and have a good laugh if your sketches are horrible in the end. You never know, you might turn out to be better than you thought! 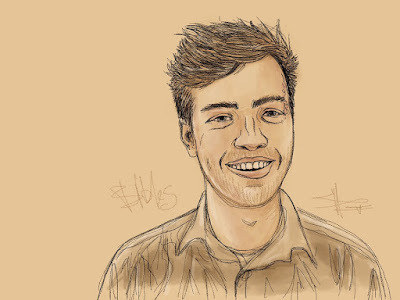 Are you both good artists? Frame up the sketches when you're done and hang them up for all to admire when they enter your home. There's no need to buy special pencils and sketch pads for this. Just a regular number two and some printer paper will work just fine. Write a story together...one sentence at a time. Make your story as long or as short as you want. Be funny, be absurd or be serious and romantic. If you enjoy this activity, get a blank notebook and keep the story going until you both feel it has come to an end. Tip to keep it super fun: each person should hide what they're writing until it's the next persons turn. 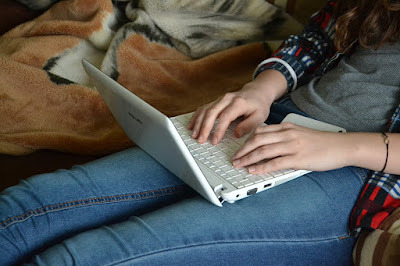 Write the story up on the computer to avoid having to buy a notebook. If you want it down on paper, a cheap composition notebook will work great. This is a great for a weekly date night . You'll both have fun getting your hands dirty and creating beautiful art for each other. 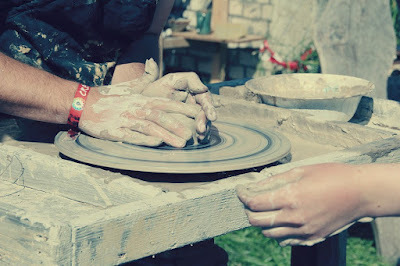 Pottery classes are usually offered at colleges and community centers. A quick internet search should be able to point you in the right direction. Instead of signing up for classes, just take the very first intro class which should be free or low priced. If you know anyone who has a pottery wheel, they might be willing to show you both a thing or two for free. Or buy some oven-bake clay from your local craft store and have fun sculpting in your own home. Get groovy together and experiment with tie-dying . I know when you think of tie-dying you probably think of loud crazy rainbow patterns but there's so much more to tie-dying than just that. With tie-dying you can use as many or as few colors you want in any shade or pattern you desire. If you're not into the funky wild colors you can try a more subtle and natural dying method using indigo . 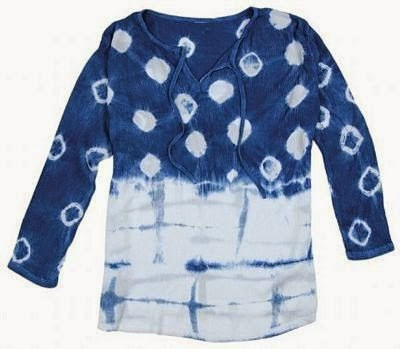 Click HERE for a great indigo dye kit. Tie-Dying doesn't just stop at tee shirts - try dying scarves , curtains, dresses, neck ties and even bedding. Just follow the instructions on whatever dying kit you've chose and look up some unique design techniques on the internet. Instead or buying plain items to dye, just use what you already have at home. And a big money saving bonus: you can make your own dyes from fruit and vegetable juice, wine, food coloring, Kool-Aid and more! For a great DIY tie-dye tutorial click HERE. Other tie-dying methods can be found on the same page. 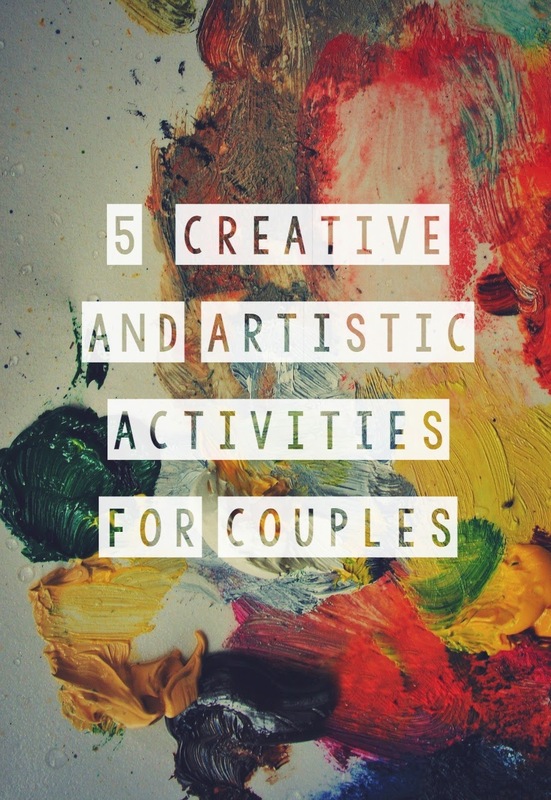 This is a wonderful list of creative couple's activities! 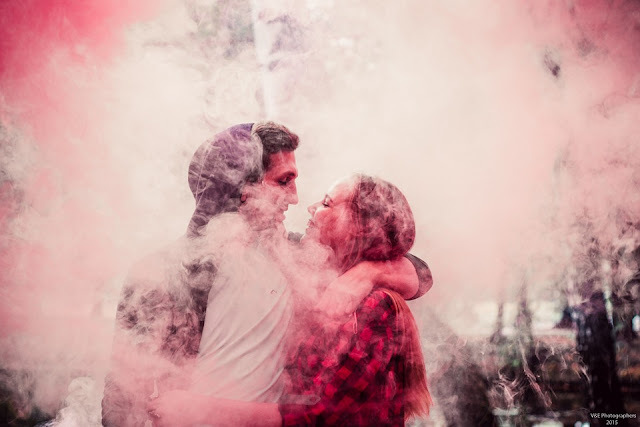 As a marriage and family therapist and art therapist I try to think outside the box when making suggestions to my couples and these are fantastic ideas, thank you for sharing them!